Don't be misled by its size. The Mazda2 is a small car with big features, a spunky street performance and surprisingly complex styling. Its athletic angles, swooping character lines and taut wedge shape offer great curb appeal, while a peppy fuel-efficient engine, smart interior design and razor-sharp handling give drivers something to savor on every journey. Shoppers in Missouri can find the 2014 Mazda2 hatchback for sale in Springfield at Reliable Mazda. Trim levels include the Sport and Touring. Both come with remote keyless entry, pollen filter-equipped air conditioning, power accessories, USB/auxiliary jack inputs and an available Bluetooth hands-free phone system, among other features. Inside, the cabin feels spacious and offers room for up to five passengers. When it comes to storage, one should also not be fooled by the hatchback's diminutive dimensions; whether you need to haul your kids' athletic gear or big bags from your weekend shopping excursions, the Mazda2's rear cargo area provides plenty of room. When the standard 60/40-split folding backseats are down, 27.8 cubic feet of space is available. To see video of the car's interior and exterior, please scroll to the bottom of our 2014 Mazda2 review. Shoppers concerned about safety will find that the Mazda2 offers more security features than expected for its size. Protection starts with its durable "Triple H" constructed frame and continues with a long list of features, including Lower Anchors and Tethers for Children (LATCH), a Tire Pressure Monitoring System (TPMS), airbags, anti-lock brakes and other features. Additionally, every new Mazda2 comes with 24-hour roadside assistance, as well as a 3-year/36,000-mile New Vehicle Limited Warranty. Visit Reliable to test drive the 2014 Mazda2 in Springfield, MO! When you stop by, you may also speak one-on-one with a financial advisor about current lease and finance incentives that you may qualify for. 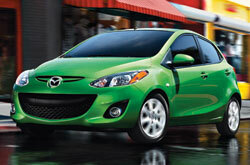 Continue reading Reliable's Mazda2 review for additional vehicle information. We're sure that the Mazda2 is the perfect fit for you. 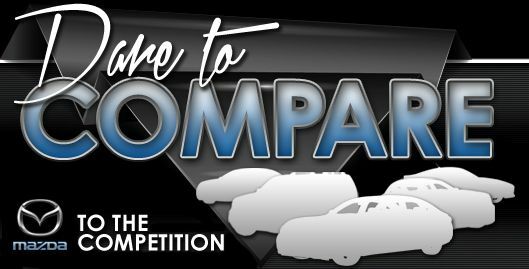 That's why we double dog dare you to compare Mazda's most current model against the 2014 Ford Fiesta, Honda Fit and the Kia Rio. 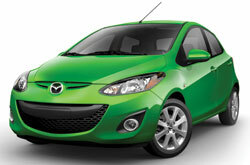 The Mazda2's handsome styling, handy onboard technologies and budget-friendly pricing are sure to win over MO shoppers. It's a fabulous value, which you'll definitely see when comparing its price to the opposition. For more useful facts, check out the Mazda2's quick-facts list below. 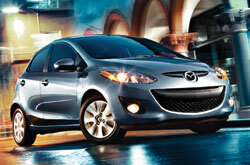 For reviews of the 2014 Mazda Mazda2 and former models, Reliable Mazda is your trusted resource. We stand out from other auto retailers by offering reviews designed to assist you in your vehicle search. Want to know about the 2014 Mazda2's safety technologies and other specs? As your Mazda dealer, you can count on us for precise information. Thank you for viewing Reliable Mazda's 2014 Mazda2 review. Now that you know more about the Mazda2, contact us to learn about lease offers and national incentives that can help you save a substantial amount on your purchase.